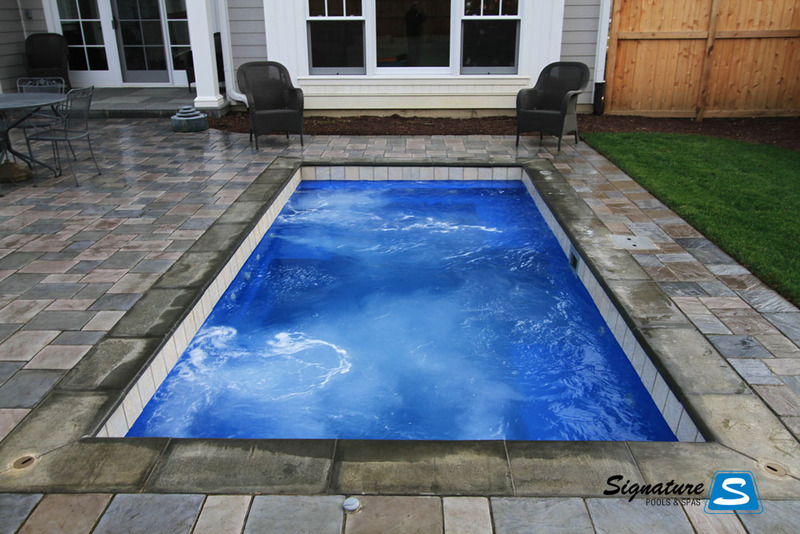 The Palladium Plunge model pool from Leisure Pools can be used as a small sized fiberglass pool or as a large fiberglass spa. 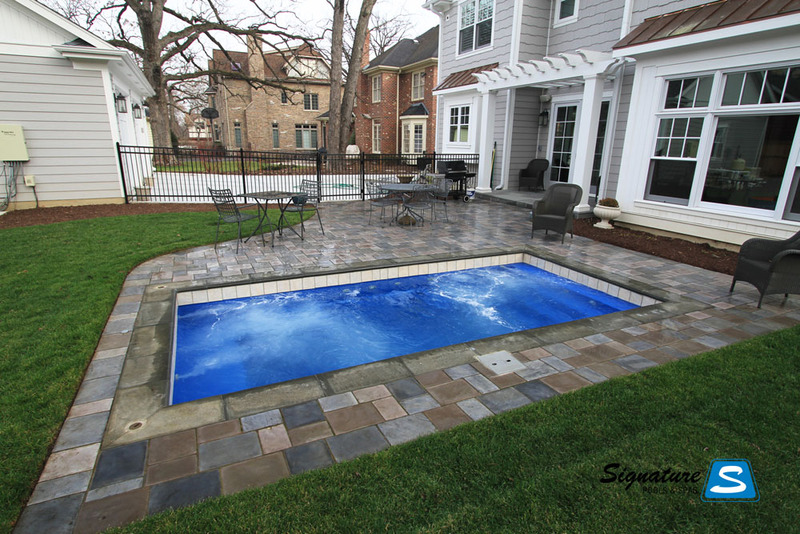 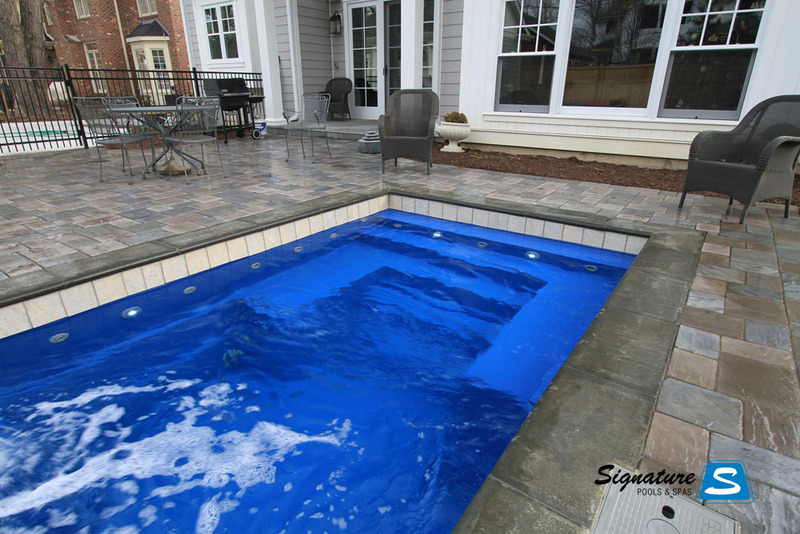 This rectangle pool can be also be equipped with an auto cover under mounted underneath the coping for a nice clean look. 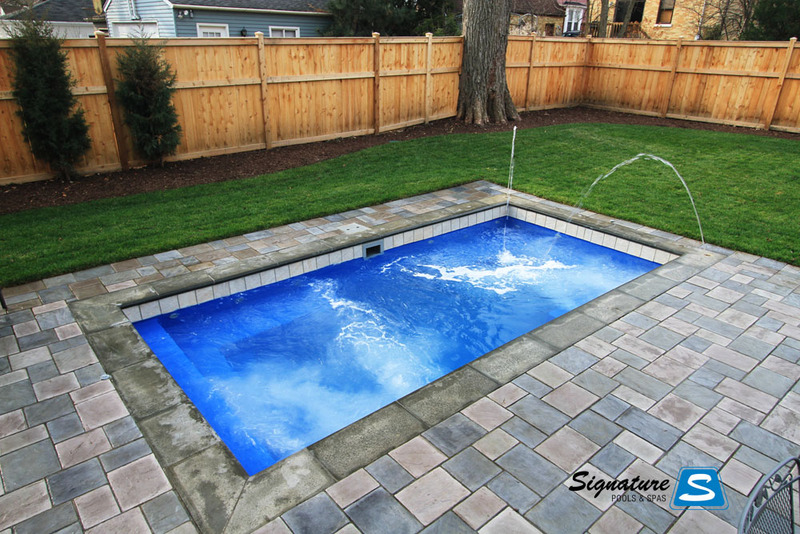 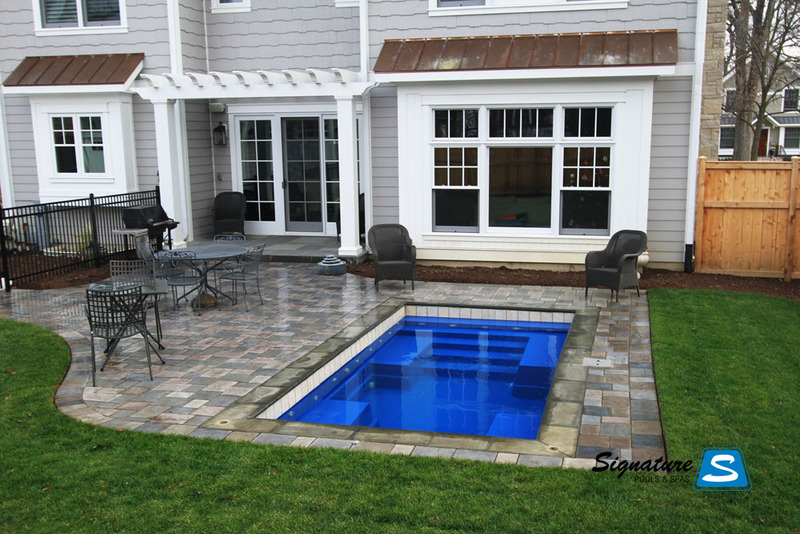 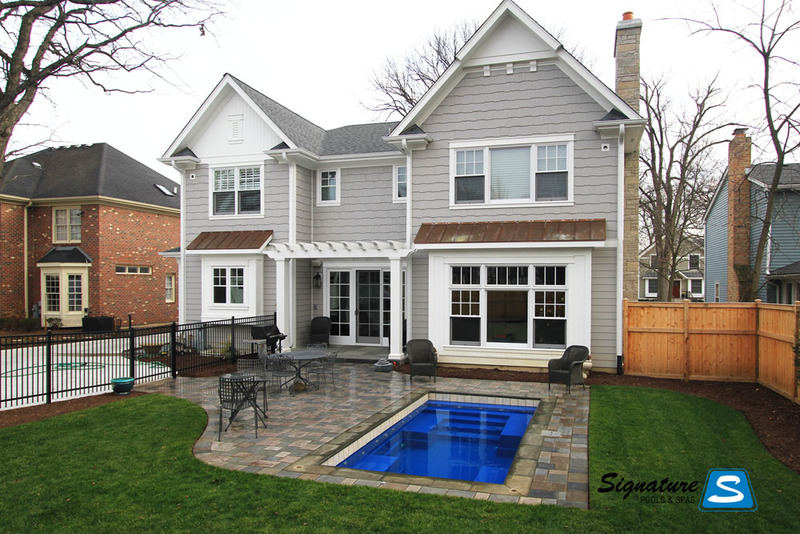 If this pool is used as a large spa you can even utilize a large custom spa cover for maximum heat retention. 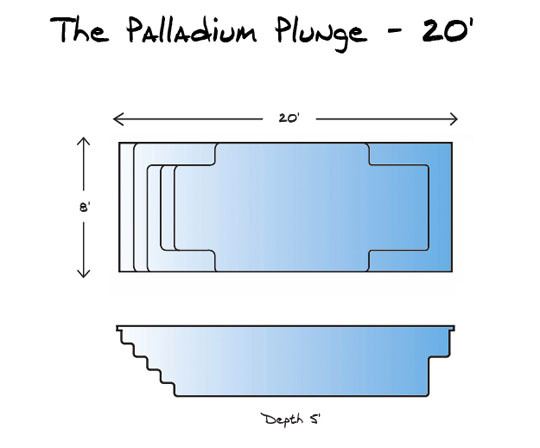 Available in lengths of 16′ or 20′ the Palladium Plunge model pool from Leisure Pools has stairs and benches on one side of the pool and a large wrap around bench on the other end of the pool. 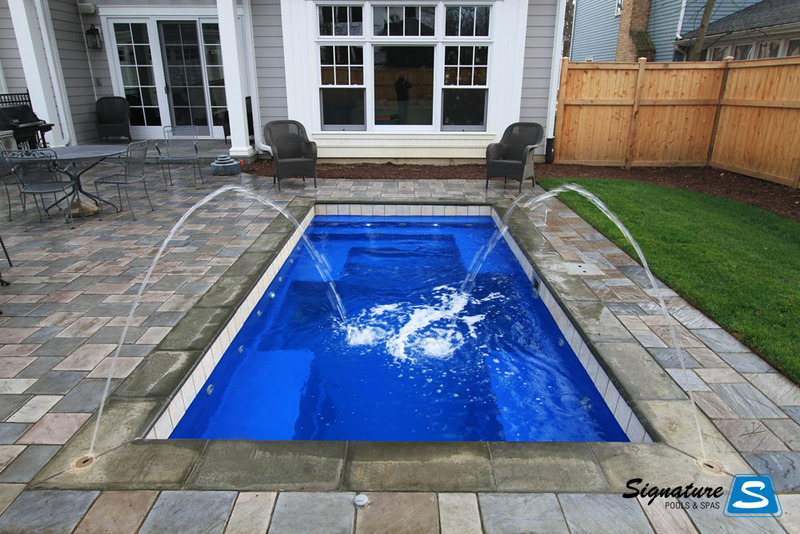 All of the benches can be equipped with spa jets for relaxation. 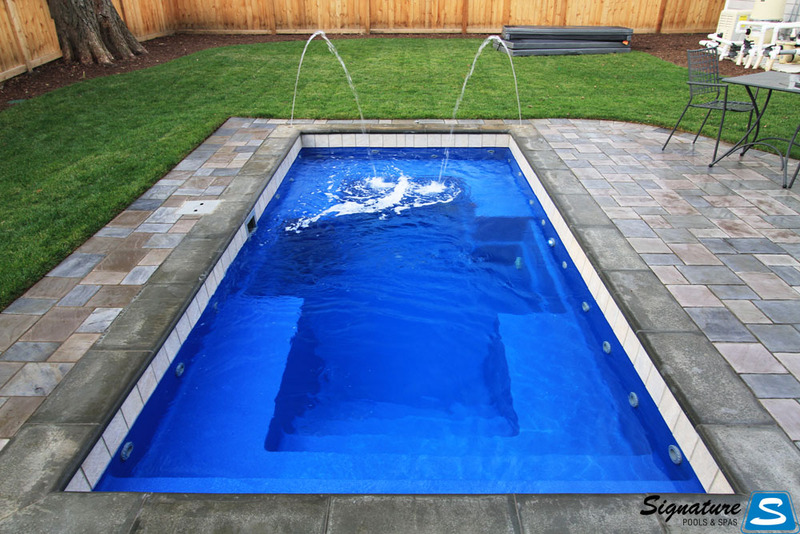 With a flat bottom depth of 5′ the pool is big enough to actually swim in as well. 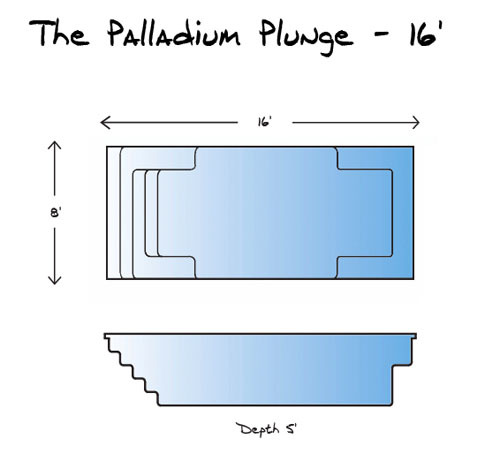 You can view a few pictures of the Palladium Plunge pool by clicking on the images above or you can see a line drawing of the two available sizes below.